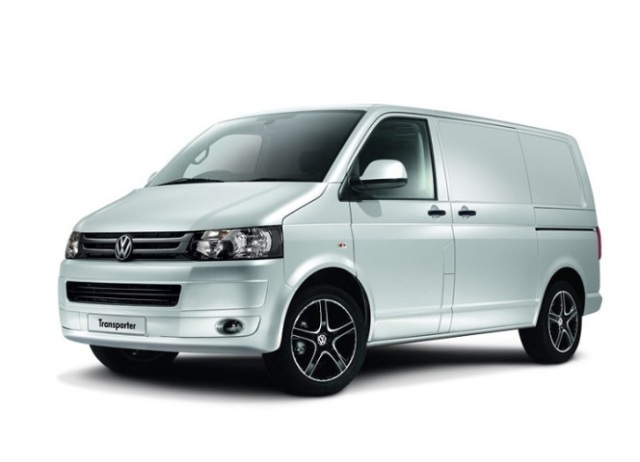 Larger than most cars, vans help in transporting more passengers and cargo. Explore through this article to know the different types of vans. A normal car is capable of transporting a limited number of people or cargo from one place to another. Where cars limit the amount of load, vans offer a larger capacity, both in terms of volume and weight. Got a larger family! Hop onto a passenger van or minibus and you all are set to go for a family picnic. You have close relatives arriving from the Far East. Your four-wheel car is sufficient to accommodate your family, but what about those guests arriving who will be requiring the same space as yours? Moreover, the luggage that they would be bringing along would simply spellbind you. It’s here when vans come in handy, offering to seat more people and carry larger loads than usual. Even then, vans are available in different styles and designs, depending upon one’s requirements. Go through the following lines to know the different types of vans. Finding it hard to deliver goods through a tight street? Is the limited parking space posing a problem? Choose to a microvan that is ideally designed for busy city centers and multi-drop deliveries at cramped and narrow lanes. Considering the smaller size of a microvan, it is capable of handling reasonable load. However, taller drivers may find it difficult to get into the van. Further, they do not offer great fuel economy, while long journeys can be really tiring and wearing. Examples of microvans include Daihatsu Hijet, Piaggo Porter, and Suzuki Carry. Car-derived vans, small vans or CDVs for short, resemble standard passenger cars with their rear seats and rear side windows missing. Instead, they are replaced with a load area and solid panels. Designed with the efficiency of a normal car, CDVs offer good fuel economy and are great for using in motorways, towns, and countryside. However, the major drawback of CDVs is their inability to hold heavy or bulky orders. Fiat Punto and Vauxhall Astravan are examples of CDVs. Similar to CDVs, light vans, or hi-cubes, offer more load in terms of weight and volume to their owners. They are designed similar to a three-door hatchback with a single space behind, resembling a cab. These vehicles are fuel efficient, easy to maneuver, and easy to drive compared to the panel vans. Ford Transit Connect, Renault Kangoo, and Vauxhall Combo are some examples of light vans. In simple words, small panel vans fall somewhere between light vans and large panel vans. The drivers are offered good fuel efficiency, moderate load carrying abilities, and easy driving at reasonable operating costs. When small panel vans fail to carry large loads, it is time that you shift to a large panel van. This van can be found in different shapes and sizes. In general, these vans are available in three roof heights, namely, low roof (LR) or standard roof (SR), medium roof (MR), and high roof (HR). Further, they are classified into three lengths - short wheelbase (SWB), medium wheelbase (MWB), and long wheelbase (LWB). Nonetheless, different manufacturers categorize these shapes and sizes as per their terms and conditions. What a MWB is for one manufacturer may be a LWB for another. Anyways, large panel vans are high-volume, heavy-duty workhorses with sufficient fuel economy. Examples of such vans include Citroen Relay, Renault Master, Ford Transit, and Mercedes Sprinter. The load area in such vans is behind the cab and is open. But, they are subcategorized by the type of cab. While single cabs have 2 doors and 2 seats, super cabs have 2 doors with 2 front seats and an additional rear bench seat or 2 individual seats. Double cabs, on the other hand, have 4 doors and 4 seats. However, most pick-ups are four-wheel drive and are great for rugged terrain; hence, being a little unrefined for normal roads. Ford Ranger, Mitsubishi L200, Nissan Navara, Mazda BT50, Toyota Hilux, and Nissan NP300 are some pick-up brands. Panel vans that have been fitted with seats are called minibuses. They are capable of seating 12, 13, or 17 passengers, depending upon the wheelbase of the original platform. Wheel chair lifts or ramps are also possible in some models. Examples of minibuses are Fiat Ducato, Renault Master, Ford Transit, and Mercedes Sprinter.